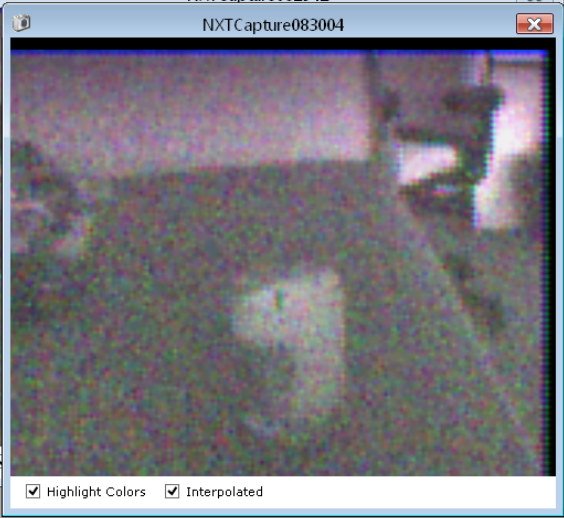 The NXTCam (Vision Subsystem - Camera for NXT or EV3) can be used to detect and track colored objects. By adding a small filter over the lens the NXTCam can also reliably detect and track flames! This filter only permits infrared light around 760 nano-meters, and blocks visible light. 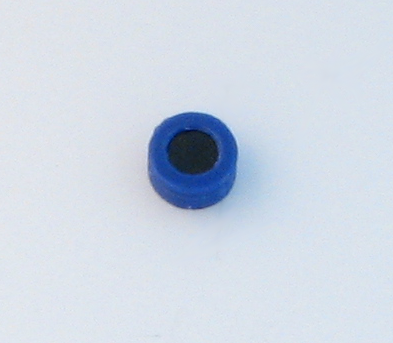 It would permit IR light found in flame, or direct sunlight or IR ball. Use the NXTCamView tool to 'teach the flame' to the NXTCam. Download NXTCamView for Windows or Mac. Connect the NXTCam to your computer via USB. 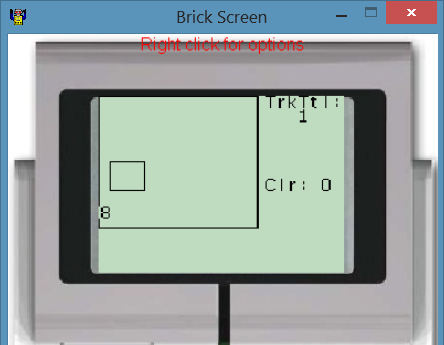 Click the 'Connect' option at the top of the window. You may have to select the COM port of your NXT for proper connection (you can find this information in the device manager on your computer). Click the 'Capture' option at the top of the window. The NXTCam will take a picture. The flame will appear as a large white blob. Click the 'Colors' option at the top of the window. The Colors window will appear. In the picture, click the white blob created by the flame and click 'Upload' on the Colors window. 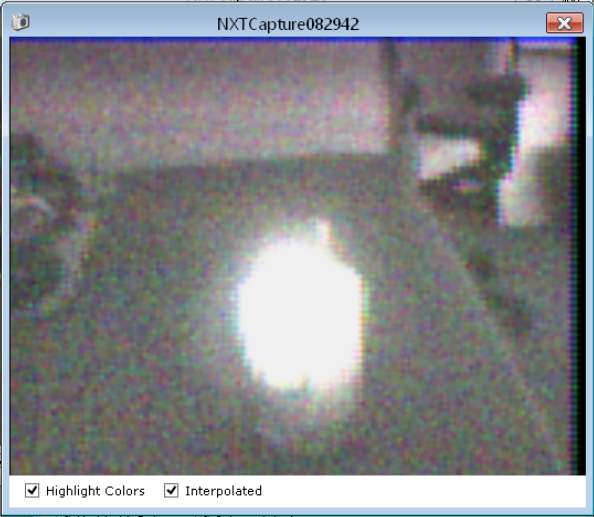 The NXTCam is now programmed to recognize flames! The NXTCam-trackBall-r01p02.ev3 example program will detect up to 8 flames and show these flames as boxes on the EV3 screen. If the flame is directly in front of the NXTCam the box will be drawn in the middle of the EV3 screen. If the flame is to the left of the NXTCam the box will be drawn on the left of the EV3 screen. 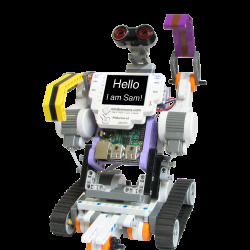 If the flame is to the right of the NXTCam the box will be drawn on the right of the EV3 screen. The program will also move motors to track the flame.